Flex blade, soft comfort grip handle. For spreading putty, spackle and other materials. Also a good clean up tool for removing paint and rust. 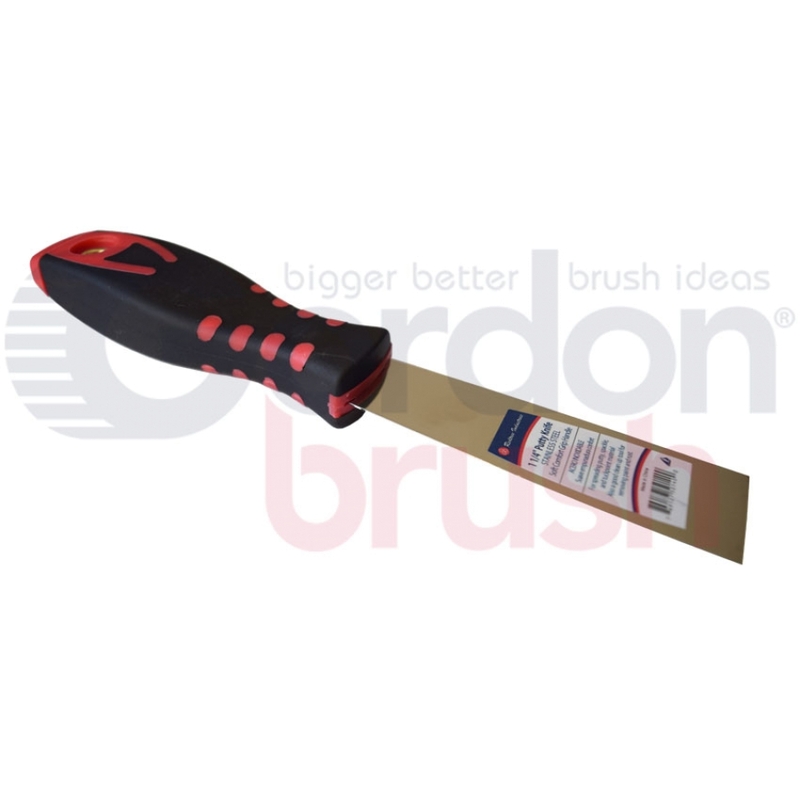 Razor scraper - Easy push button operation with retractable locking trigger. Soft comfort grip handle. Use for removing paint, tape, stain, varnish and caulk. Caution: Store tool with blade retracted for safety. Putty Knife - Stainless Steel 3"